About Anna | So where's the snow? 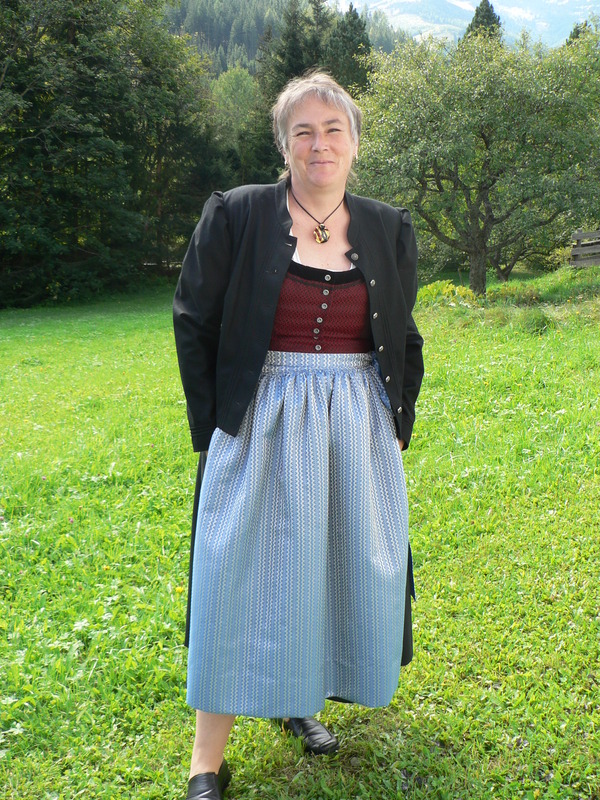 Short version; Christian, Writer, English teacher, librarian, dog owner, Brit in Austria! Long Version; I moved from the United Kingdom to Austria in 2007. I’ve been married for 36 years to Dave who worked for a few years in the local Garden centre in Tamsweg, but chucked it in due to stress! We have a very small business looking after holiday houses and he is now working at Burg Finstergrün where I have worked, as a gardener for the summer ( but he doesn’t have to work with Erna). He loathes the internet, but thinks this blog is a good idea! We both felt a call to move here but still haven’t really found out what God wants us to do yet! We are members of the local Protestant church which is struggling a bit at the moment. We planned to work as Missionaries but it just didn’t seem to be right for us. God has used this time to feed us through the media ministries of many television evangelists – the best of whom are Andrew Wommack and Joyce Meyer. I’ve learnt so much and I’m using this Blog to share what I’ve learnt and how I’ve applied it to my life. We have two kids, our daughter is a Nurse and our son works as an Electrical engineer on railways, and is married to Michelle. I have an Honours degree from the Open University in English and History. I went back to work once the kids were old enough to be left to wreck the house on their own and worked in Fine Art Insurance then in Riding therapy for six years. I ‘ve always been into horses (pony mad kid!) and to work with teenagers with learning difficulties was a dream job. During this time my mother died, the dog died, daughter went to University, son was rarely at home, and I was banging my head against a brick wall in my job as I’d stupidly moved into more office work. We tested this call in every way possible and are sure we’re where he wants us, but are struggling with the way forward. I gave the love and work with horses back to God when we left England only to have it given back. I worked teaching riding (which was a great way to have to improve my German) for two years. In my last summer, my boss (75!) suffered severe injuries in riding accident leaving me to run the yard. By the spring I was burnt out. So I left the horses behind and have had many jobs in the past few years, including working as a cleaner in the local castle, for a local business, and other hotels and a disastrous job teaching English. All of which is detailed (often painfully) in the blog! I now help Dave with the business, do home tutoring in English, and have re-trained as a TEFL teacher. I also now have trained and run the village library, which I love, especially buying books, even if they are in German!. Dave and I believe God has a plan for our lives, that he will bless us so that we can be financially independent so we can work full time here for him. After 8 years, we got Swingle who has brought us much joy and penury! Then came Brexit………. We’re looking to add experiences from expats living in Austria. I’m impressed by your blog and feel that other expats would benefit from your insights. Do you mind answering a few questions, which we would then publish on our Expats Arrivals page? We can’t offer any financial remuneration, we can offer a link exchange and add to your blog listings. Hi Kyle, I’ve had a look and I’m impressed! I’m happy to answer questions. Of course, a lot of things are up in the air due to Brexit, and any info I give may change, I look forward to hearing from you! Nothing since May 31, 2016? I truly enjoyed your pictures and your testimony. My wife and I spent three years in Tanzania and identify with your calling and your struggle. I am wondering now whether you are still in Austria and still pursuing your calling there. I’ve sent a long boring email to you on the address above rather than the public one here, but I’m not sure if it will actually arrive because I’ve had problems with windows 10, if you don’t hear soon from me, please let me know!!!!! THANKS! once I get my act together, I’ll post it! Wonderful! My name is Joe Pinzone and I’m casting an international travel show about expats moving abroad. We’d love to film in Austria and wanted to know if you could help us find expats who have moved there within the last 15 months or have been there for 3-4 years, but recently moved into a new home. The show documents their move to a new country and will place the country in fabulous light. The contributors on the show would also receive monetary compensation if they are filmed. If you’d like more information, please give me a call at 212-231-7716 or skype me at joefromnyc. You can also email me at joepinzone@leopardusa.com. Looking forward to hearing from you. Wow, thanks, I’m thrilled to bits!! I’ll work on it in the next couple of days. Haymaking has ground to a halt here as we’re in for a thundery spell. Swingle had a run around a hayfield the other morning (I’m sure no one saw….) and the grass was so high she disappeared, all I could see was some waving stalks, I just wonder how she found her way out!!! I guess I’m a farmer by proxy, I find all the work around here fascinating and I’d love to have a house cow again! HHEEELLPP! I’m having a senior moment, I can’t get the blog award logo on the post, what do I do??????? You can’t get the award picture to show up on the blog post? I usually drag it from the original post (mine) to my desktop. From there I drag it straight to the post. WordPress should recognize it as a photo from there and insert it into your post. Does that help? It worked, thanks everso! Now got to find six feminine blogs where most of my favourites are written by men, hmm, wonder what that means!!!!!! Thanks, he looks quite a feisty chap! I blog about once a week about my dog Swingle, on my main blog as I was too lazy to create another one! Anna, Thank you for stopping by and liking my post at Renaissance Musings. Wishing you success on your journey through life. I loved the photo, it reminded me of when we lived in the New Forest in the UK and the crows and magpies would pull hair form the horses much to their pleasure as they shed their winter coats! Icelandics are a great breed, can be very reliable but also naughty! Tolting is like flying and on a good horse faster than galloping! There are pictures on the blog, I’ll send you the links when I can get to my pc! Have a great weekend! You might find these interesting! Thanks, I loved your blog,especially as Strawberry roans are my favourite too! Until a couple of years ago I rode Icelandic horses here in Austria, but they rarely have this colour! I’m glad someone else likes strawberry roams too. 🙂 what are Icelandics like? What is their tolt like? Here’s a message from Türkiye to say “thank you” Anna (and Dave). I appreciate your recent ‘follow’, knowing how many interesting and entertaining blogs there are out there. Hi Anna and Dave, I enjoyed looking through your photos and reading the posts – all very nice. Looking forward to your further adventures! Hi Dennis, a belated thanks! We’re just back from driving to the UK from Austria for Christmas and are exhausted! We came back to the snow having arrived but not in huge amounts. Lots of writing to come on that one. Happy New Year! Looking forward to your writing! Happy New Year to you too! May arrive on 19th or 19th, so will let you know when I’ve booked the ferry! Thanks Clare, your comment is SO appreciated! Building our plans for Christmas, fancy meeting up for a walk in Wareham???? Great!! It may take a little while as I’m working teaching at the moment, but I’ll definitely do it by the end of the month! Dear Anna, I have just now nominated you for the Liebster blogging award, if you would like to participate in it. Thanks. Hi Suyash! Thanks so much for the nomination, it’s the first I’ve been nominated for! The nomination in itself is enough! However, I have over 100 followers so I don’t qualify! Many thanks again! Dont worry for the no. of followers. This is no hard and fast rule. Important thing is to enjoy, without any rules. Moreover, it is 200 followers, and with rule too, you qualify. Hi Suyash, thanks again for the nomination but I’ve totally failed – just pressure of work and life! Sorry, maybe be another time! I dropped into your blog to say thanks for being my 100th follower! I am envious of your view of the mountains. Wow thanks, I’ve made it into some data!!!!!!! I really enjoyed reading your fantastic blog and believe that expats in Vienna and around the world would not only – appreciate the entertaining content, but also benefit from the insights and perspectives you offer. Your blog really is a captivating read! This is why I would like to feature you and your writing in a designated section of InterNations.org , the Recommended Blog on Vienna. We have designed a link badge for placement on your blog and would be glad to hear from you directly via our questionnaire! It seems you have become in a certain way a missionary, but in an other way than you originally thought. I do hope you are willing to witness for the only one God as well by doing service to Jehovah and taking care of the weaker ones. And by not being connected to a religious group the Asylum seekers hopefully shall not misuse your kindness and efforts. Nice to hear from you, Anna, and good to know that you too are loving ife here in Austria. Busy skiing right now but once the snow has disappeared, we’ll make a bike trip into the Lungau. Great, we’ll look forward to it, there’s some great cycle paths here! I like your blogging Anna, and hope you are not sweeping the dust under the carpets at the Castle ( that’s what a Burg is isn’t it?). You can’t beat your neigbours alchoholism but God can, it’s a dangerous addiction. I understand your lack of confidence in offering to pray for folk especially if you don’t know them, but if I may, I offer this advice, believe God and take the risk, that’s how miracles happen. Hav’nt read it all yet as I am really busy on the computer, but I had a quick ‘skim’ & it looks very interesting. I must get round to writing properly. Me busy doing my cards & calendars & having a young lad from bad background living with us – full time work!! !